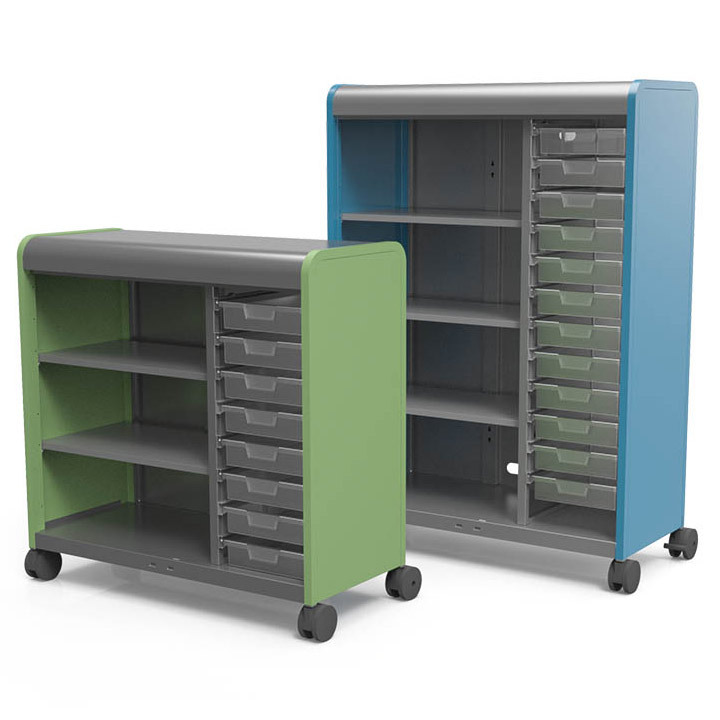 The Cascade Series Combo Tote Tray and Shelf Mobile Storage System from Smith System offers style, organization and flexibility for the classroom. Great for storing and organizing learning materials, this cabinet has shelf storage and can house removable clear tote trays that make distributing student's school work easy. Choose between models with or without locking doors. End panels come in a variety of colors.